So not only did he call short preflop with T6o out of position, no, he also pushes on the flop with second pair no kicker and hits the turn and river like a champ. Nicely played sir. You just made my day…NOT. So instead of sitting second in chips with five players, I’m sitting with 1k with six players. Win some lose some and I’m in for the exit in 5th with A10 vs AQ…too bad I was the BB…too bad he was the SB…too bad there was an Ace on the flop…too bad that I didn’t smell it…oh well…what else is new. The next one was quite similar. 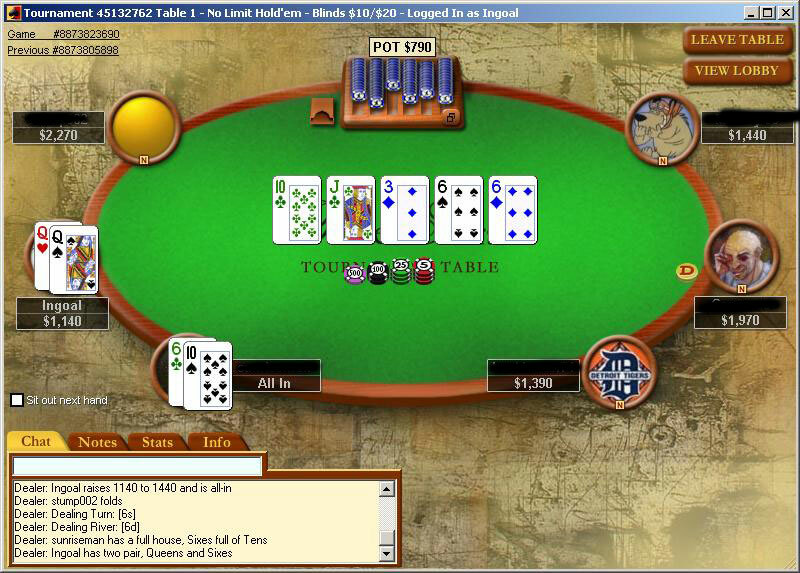 Lost some big pots with the best hand, then donk-trapped myself to make yet another 5th place exit.